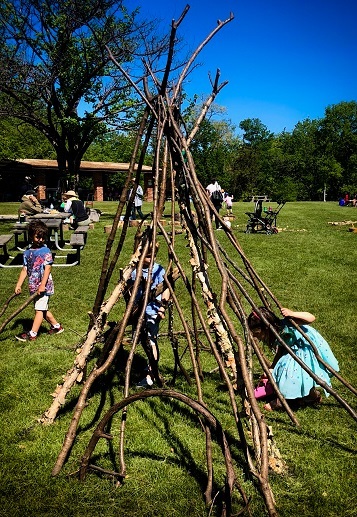 This Spring and Summer, we continued to strengthen our partnerships in the community, including with The Alliance for Early Childhood in their Let’s Play Community Play Days, The Forest Preserves of Cook County Restoration efforts, and the Chicago Botanic Gardens Inspiring Nature Play seminar. We were thrilled to get involved in new partnership events; hosting an Earth Day celebration with the Forest Preserves of Cook County at Erickson Woods in Winnetka. The event featured a fishing workshop, which has been a recurring addition to our nature education programming. BYNC has also helped teach catch-and-release fishing skills to Refugee Education & Adventure Challenge boys and Winnetka Park District Summer Campers! Welcome Loura, our new volunteer! Loura Vlam is a new volunteer with BYNC. After her recent meeting with school teachers in Northfield, she is looking forward to help organize the development of an outdoor program for Sunset Ridge School students with BYNC. Loura is from the Netherlands and currently lives in Evanston. She is a graduate student in International Economics from Utrecht University and has work experience in the field of Marketing. As she is always looking for new opportunities, she wants to contribute her time and energy to BYNC. This will give her a great opportunity to help connect children and adults with nature, and in the meantime learn about the natural environment herself! In April, families took a break from their busy spring schedules to join The Alliance for Early Childhood’s “Let’s Play Community Play Day,” featuring BYNC and other local organizations. BYNC brought a pop-up Nature Play Area and insect and animal friends, including a turtle. At the beginning of June, Families visited Erickson Woods for The Alliance’s summer play day, featuring BYNC and other groups. This was the first time the Play event was held at a Forest Preserve location, and BYNC was excited to add the Cook County Forest Preserve as a partner in this event. 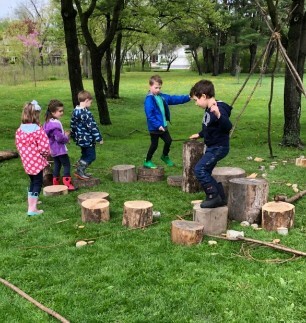 BYNC brought tree cookies, branches, pine cones and vines to a pop-up play area, in addition to tree swings, balance beam logs and a tree stump walking path. BYNC also led a nature hike through the woods. 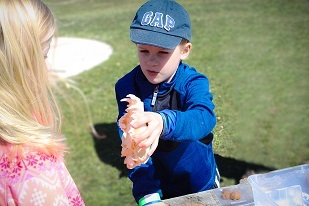 BYNC, the Winnetka Park District and the Forest Preserves of Cook County hosted a celebration of Earth Day at Erickson Woods. This marked the first partnership between BYNC and the Forest Preserves on this event. 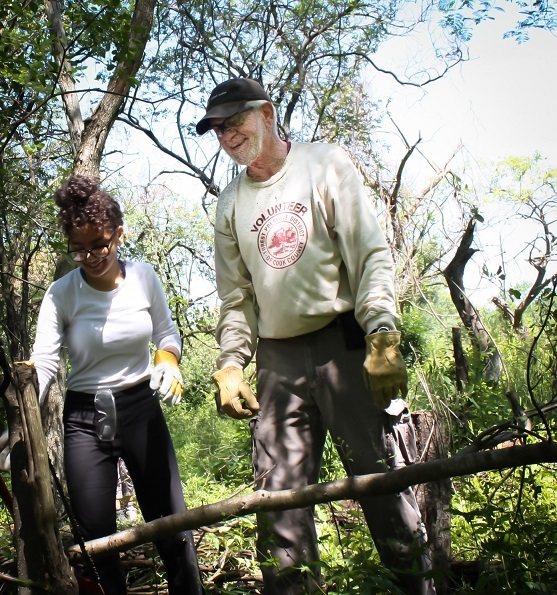 Families and community members helped restore native habitat by cutting invasive buckthorn and collecting litter, learned basic fishing skills, learned to spot local and migrating birds, and discovered trees and wildflowers. Kids played in a Nature Play Area featuring a tree stump walking path, tree swing, maze, tepee building and more. Spotting migratory birds at the Skokie Lagoons bird-watching station. Learning about Illinois mammals by observing a raccoon skull at the wild mammals station. BYNC hosted 16 kids and teens from the Refugee Education & Adventure Challenge on July 2. 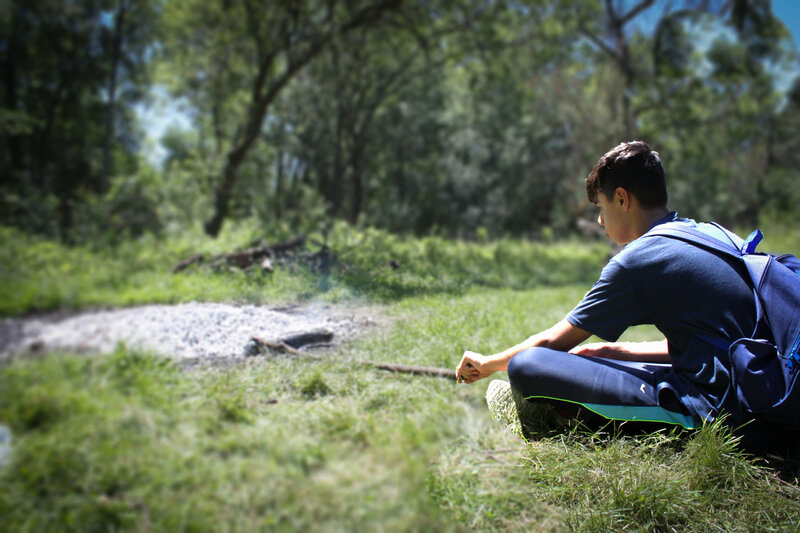 The students, who come from different countries in Africa and the Middle East, arrived with REACH volunteers to cut and burn buckthorn at Erickson Woods, followed by a nature trail hike along the lagoon shoreline. This marks REACH’s third year doing restoration work with Skokie Lagoons site stewards. After a picnic lunch, the volunteers took a nature hike to Willow Dam, learned new catch-and-release fishing techniques, and screeched with joy as their fishing poles tugged with caught bluegill and redear sunfish. BYNC hosted well over 200 Winnetka Park District Summer Campers over three days in June at Hubbard Woods School and Crow Island Woods. Some of the older campers had an opportunity to visit the Erickson Woods dam to learn about catch-and-release fishing with Jim Hanna and Tom Murphy, volunteer fishing guides from West Ridge Nature Preserve in Chicago. Other activities included nature hikes, butterfly catching and an insect/toad table. In May, our kindergarten program expanded to include all Winnetka kindergartners. The students arrived at Crow Island Woods with their parents and participated in three stations: a nature hike, a pop-up play area and a lesson on how to use outdoor tools. On the nature hike, kids learned about the ecology of the woods. 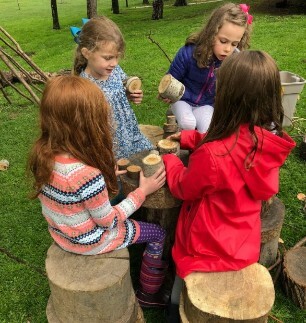 Using the natural materials in the pop-up play area, kids designed their own fun, which ranged from a tea party to a furnished tepee. At the tools station, they learned how to safely use saws, loppers and drills. Walking and balancing on tree-cookie stumps helps with gross motor skills development. Playing tea party with natural building blocks improves sensory motor skills. Gary Morrissey, Master Naturalist and BYNC board member, has led monitoring of amphibians for the last three years with a program titled “Calling Frog Survey” run by the Peggy Notebaert Nature Museum in Chicago. Monitors go out after sunset to listen for mating calls and have so far identified American Toads, Bullfrogs, and Northern Leopard Frogs in the vicinity. This year, a new bat program, designed by researchers at Lincoln Park Zoo, was incorporated into monitoring at the Skokie Lagoons. Armed with a device that converts and graphs bat calls, monitors walk a transect and collect data that can be used to identify specific bat species. To date we have identified Big Brown Bats, Silver-Haired Bats, and Hoary Bats. Many thanks to Susan Morrissey, Thomas Murphy and Michael Schaeffer, who have been working to make our monitoring programs successful. 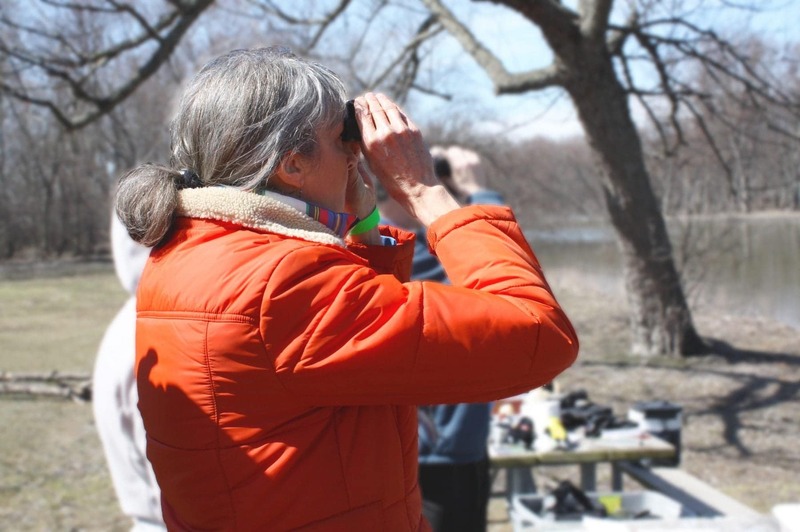 VoyageChicago Magazine interviewed BYNC President Daniel Kielson for an article about his efforts to connect children and adults with the wonders of nature. “It has been such a wonderful journey connecting with teachers, school officials, New Trier Township village park district partners, Forest Preserves of Cook County, The Alliance for Early Childhood partners, Chicago Wilderness friends, service-minded and faith-based organizations, volunteers and contributors,” Daniel said. Read the full article at VoyageChicago Magazine online. 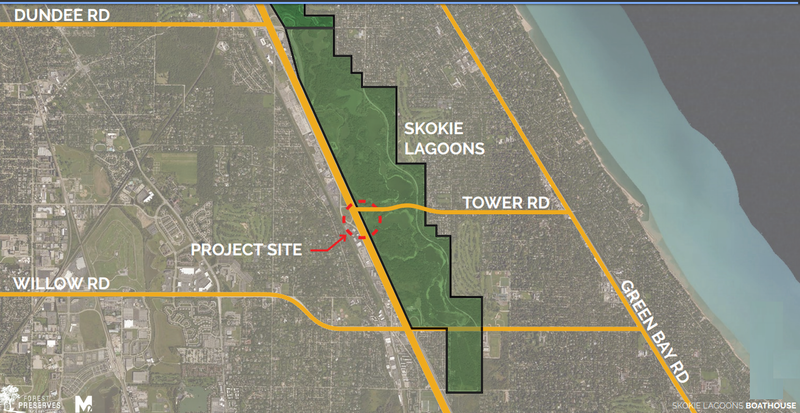 The Forest Preserves is planning a new boathouse facility at the Skokie Lagoons. The FPCC hopes the facility may allow for improved canoe and kayak rental, outdoor tables and seating, additional restrooms, and other amenities. BYNC is advocating for a Nature Play Area to be included in the project! Email kindy.kruller@cookcountyil.gov with the subject line “Skokie Boathouse” to have your name added to the stakeholder list. The proposed location for the project is at the existing Tower Road boat dock site. If you’d like to get involved and contribute to the effort, visit the FPCC “Friends of the Forest Preserves” page. Meet at the north end of the Erickson Woods parking lot (Willow Rd. just east of the Edens Expressway) at 8 a.m. Look/listen for migrant and resident birds of the Lagoons. Master naturalists will lead the walk. Afterward, visit the restoration day at the lagoons (details below). Join BYNC on the second Saturday of each month for a day of restoration work in the Skokie Lagoons from 10 a.m. to 1 p.m.. BYNC volunteers have helped clear invasive buckthorn from significant stretches of the Lagoons. The group meets off of Tower Rd, north of Forestway Dr. Sign up at the Forest Preserves site. Thank you for your support of BackYard Nature Center, ‘Like’ us on Facebook below or visit our website www.backyardnaturecenter.org!